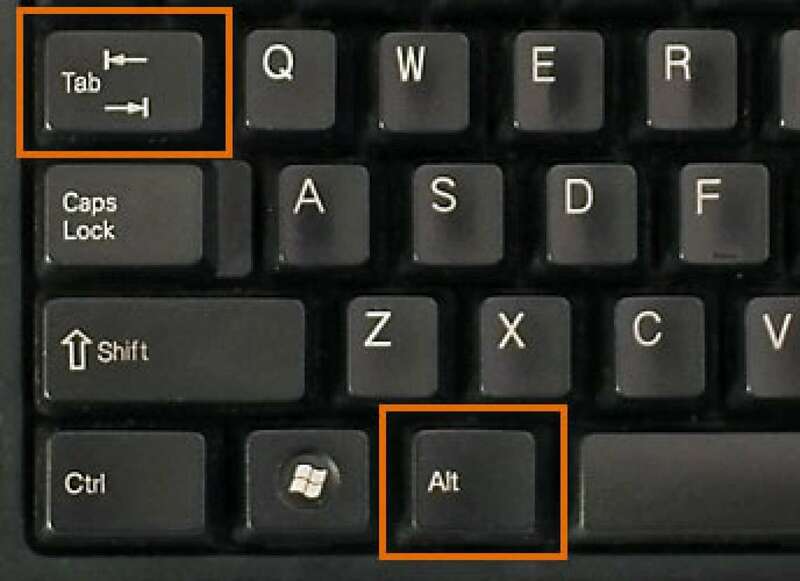 How to click out of gaming window on PC. Are you supposed to be working, but want to play your favorite PC game at the same time? Well, even if you have full screen mode on, it's do-able! That'a about all you gotta do! Click Alt and Tab at the same time and you will have a new screen pop up allowing you to select which running program you wanna select! You probably shouldn't be playing a video games and working at the same time.